This cutaway acoustic/electric Grand Auditorium blends layered walnut back and sides with a solid Sitka spruce top, making it a great all-around acoustic that responds well to strumming, flatpicking and fingerpicking. 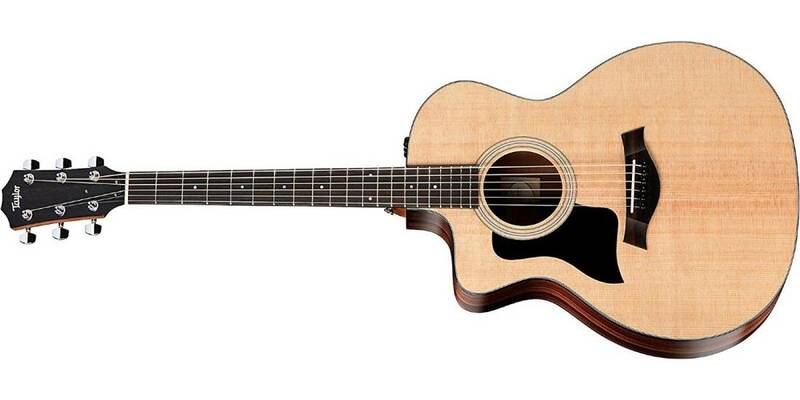 With the patented Taylor neck, you'll enjoy easy playability and accurate intonation as long as you own the guitar, and the slightly narrower 1-11/16-inch nut width makes forming barre chords easier on the hands. The Venetian cutaway gives you access to more upper-end fretboard real estate, while Taylor's dynamic Expression System 2 pickup produces a natural amplified acoustic voice that will help you sound your best whenever you plug in. The clean appointment scheme includes Italian acrylic dot fretboard inlays, a 3-ring rosette, plus black binding and a black pickguard that complement the look of the genuine ebony fretboard and bridge. 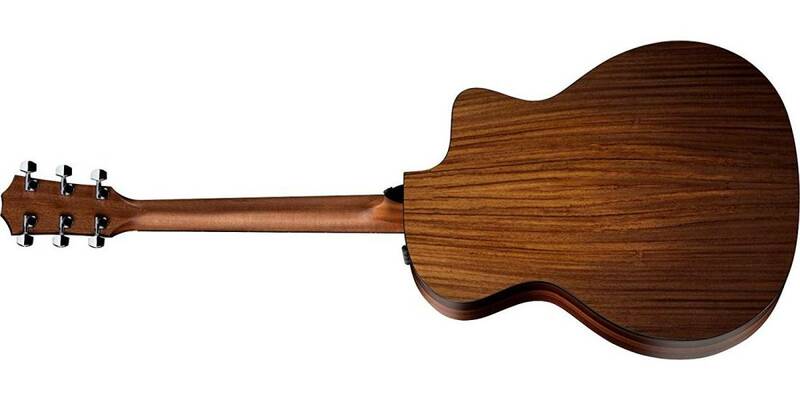 The guitar includes a lightweight protective gig bag for easy portability.